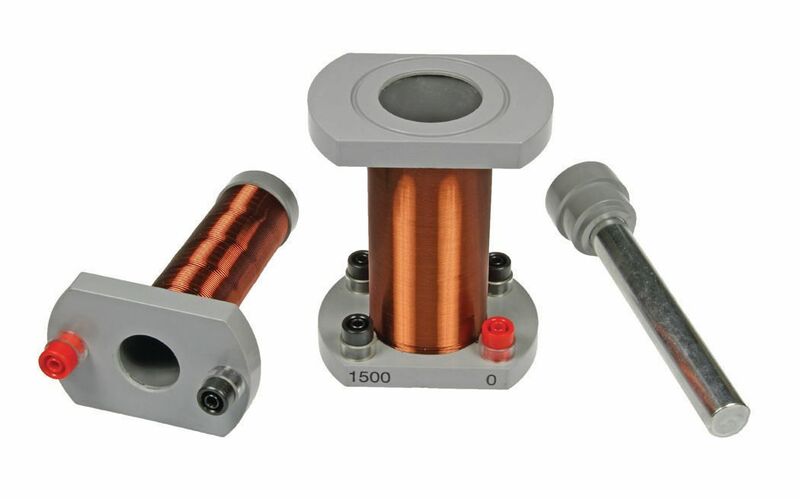 Primary and Secondary Coils are used to investigate electromagnetic induction. 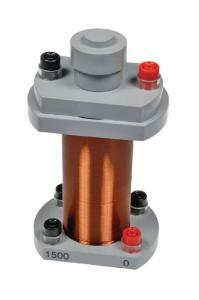 Primary and secondary coils are wound on robust molded formers fitted with shielded banana jacks. The plated iron core has a molded handle for accurate positioning in the coils. The primary coil has 175 turns of 18 AWG insulated copper wire (diameter: 34 mm, length: 100 mm, resistance: 0.43 Ω, self-inductance: ≈3.1mH). 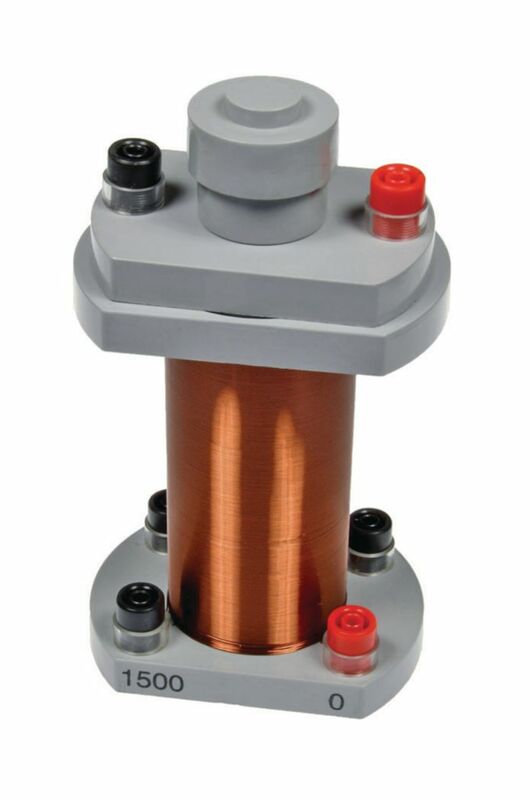 The secondary coil has three available windings with 500, 1000, and 1500 turns of 26 AWG insulated copper wire (diameter: 52 mm, length: 102 mm, resistances: 11.5 Ω; 23.3 Ω; 35.7 Ω, self-inductances ≈ 490mH; 1.97H; 4.43H). Plated iron core is 19 mm in diameter and 165 mm long (including handle). An activity guide is included.